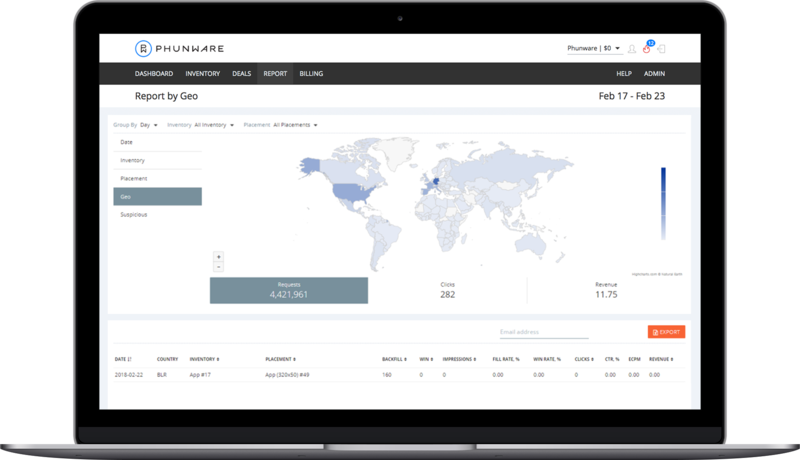 Introducing Phunware's new, smarter SDK and SSP. Dynamic yield optimization technology ensures the highest possible return. The first real alternative to rewarded video. Mobile-optimized bite-sized surveys to keep you monetizing your user data even after they leave your app. Take advantage of premium direct sold campaigns from Fortune 500 advertising partners. Innovative creative formats including rewarded video, surveys, branded sponsorships and more.